Arsenal ace Joel Campbell has insisted that he feels as though he deserved more chances at the club after his performances last season. The Costa Rican international featured 30 times for the Gunners last year, scoring four goals and providing six assists as he enjoyed somewhat of a breakthrough in the first-team. However, instead of being given a chance to build on that, he will spend this season on loan with Sporting Lisbon, a challenge that he is excited about but evidently he’s still a little frustrated that he isn’t in north London. “I think I deserved to play more after what I did last year, but now is a new stage,” he told A Bola. After numerous loan spells away from the Emirates, the 24-year-old finally staked his claim for a first-team spot last year, enjoying a significant increase in appearances compared to the previous year. 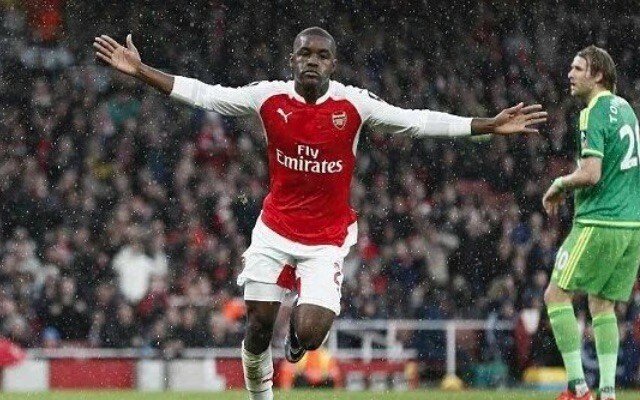 Despite the likes of Theo Walcott and Alex Oxlade-Chamberlain failing to have the same level of impact, it’s Campbell who will now have to adapt to new surroundings and fight for his Arsenal future away from the club. It remains to be seen how useful the loan spell in Portugal will be for him, but he’ll undoubtedly want to make it a success to build further momentum and prove to Arsene Wenger that he can play a crucial role for the Gunners in the years to come. Competition for places increased again over the summer following Lucas Perez’s arrival, and so time will tell if Campbell will break back into the Arsenal team next year and beyond.